Injuries on the hunt for Bigfoot. True scars in pursuit of the greatest game to ever stalk the woods or face saving maneuver from a couple of trigger happy dullards? Are we living in the Matrix? Andrew makes a compelling case for “yes”, Brian is skeptical and Justin has a hard time keeping up. Because he’s stupid. It’s all part of a new Weird Things podcast. Get all the latest details on Andrew’s new show Don’t Trust Andrew Mayne coming this January to A&E, like the official Facebook page. It’s sort of ironic, isn’t it? Also available? Bacon and Nihilist. Wait…what’s Nihilist taste like? Nothing. There’s no flavor. No color. Nothing. 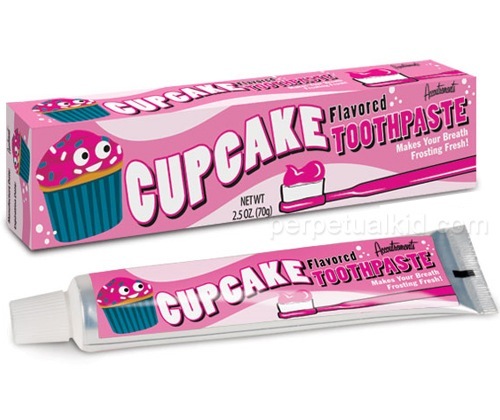 Except will power and moderation and if you’re using cupcake-flavored toothpaste to brush your teeth? We’re guessing neither of those apply to you anyway. Katha Sheehan, the owner of a Florida chicken rescue, was brought a chicken that had a corner of something portruding from its chest that was obviously not a feather. 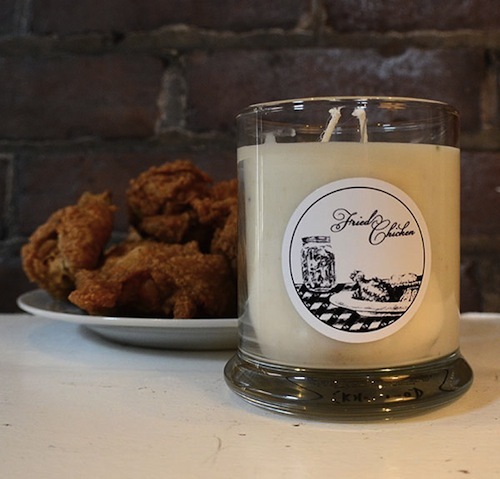 Peeking out of, and embedded into, the chicken’s chest and packed behind some primitive stitch-work was the corner of the photograph above. There was also a sketch of a skull. According to the vet that treated the chicken, who’s name is Trooper, is recovering very well. Nope. We know what you’re wishing and your hopes are wrong. That’s not an old rice cake that someone dropped under the couch six months ago. It’s not a urinal cake either…because even that wouldn’t be as bad. 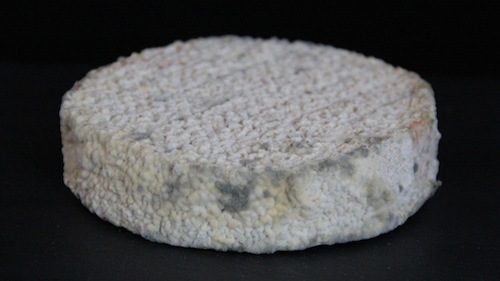 Not only did Christina Agapakis and Sissel Tolaas, who’re a part of an exhibit in Dublin called Grow Your Own…Life After Nature that is full of projects like this, create cheese wheels made from toe cheese. No. They swung for the wall by creating cheese wheels grown from other yummy ingredients like armpit sweat and bellybutton debris. By scraping the bacteria from places that make every single one of cringe, they cultured that bacteria into cheese wheels that no one should ever, ever, EVER eat for fear of being that person for the rest of their lives. But then again…if you served it to someone and they didn’t know what it was? Would that be a bad thing if they liked it? You can let your last meal come up now. Is it just us or is it slightly weird that the inventor of an ice cream that seems to come straight from Willy Wonka’s Chocolate Factory would be named Charlie and sport a hat much like the legendary fictional candy crafter? Charlie Francis, the owner of Bristol’s ‘Lick Me I’m Delicious’, has created an ice cream that glows using the parts of a jellyfish that produce its bioluminescence. Easily the most expensive ice cream ever created at around $225 a scoop, the ice cream glows when you lick it. Currently the proteins needed to produce the glow are being created in a lab and not taken from the jellyfish themselves which is why you’ve got to be willing to skip a car payment for a scoop of the stuff. First absinthe-flavored popsicles and now glowing, bioluminescent ice cream using jellyfish proteins. We’re not sure what’s next for ice cream but we sure like where it’s headed. Artist Sculpts Busts of Pop Icons – Out of Lipstick! Men typically have no idea just how much women spend on cosmetics, let alone lipstick. Especially lipstick carved into the busts of pop culture icons like Marilyn Monroe, Lady GaGa or even Kate Moss. Over on an Etsy store called WahahahaFactory, May Sum, an artist in Hong Kong, is selling what is probably the most expensive lipstick ever…and you probably won’t ever actually use it. The going price for a lipstick sculpt of Lady GaGa out of something you’re supposed to smash against your lips? The better deal is that you can get custom work done, like perhaps a self-portrait, for about $450. Here’s how to go about the process. The last line of this excerpt from the store’s description pretty much nails the feeling that we’ve landed in some kind of Katy Perry dream-state where this whole thing is just kinda…you know…normal. “You can customer made your own lipstick sculpture. 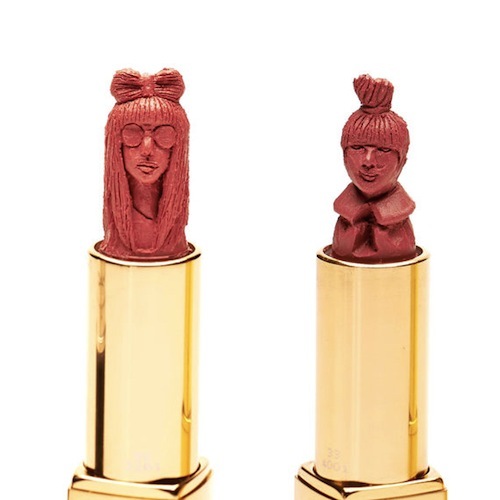 If you also want a unique lipstick sculpture, or if you want the lipstick have your face on it, now you have chance to get it! Before you place your order, please send us your portrait (better with front and side angle and in good quality). Or send us the reference picture of the object that you want us to sculpt. If it is too complicated, we will get you back and discuss with you how to make it possible. Posted in Etsy, Weird Fashion | Comments Off on Artist Sculpts Busts of Pop Icons – Out of Lipstick! Russian Drug Krokodil Turning People Into Walkers! A drug called Krokodil has started surfacing here in the states. Created in Russia, Krokodil has claimed approximately 30,000 lives since the early 2000s when the drug began hitting the street. Krokodil costs about a third the price of heroin, is extremely easy to make and has an extremely intense high that belts you almost immediately. Big deal. It’s another new way to get high, right? What’s so weird about that? The horrifying effect the drug has on your precious little living body. You basically become a ‘walker’. ‘Walker’ as in Walking Dead ‘walker’. As in pieces of that precious little living body aren’t so living and begin decaying…from the inside out! That’s right. At first Krokodil causes blood vessels to break which causes the skin to turn dark green which then becomes dark and scaly…like a…wait for it….crocodile! After the scaly skin and bursting blood vessels, the drug begins rotting you internally. Currently Krokodil has become Russia’s go-to drug because of it’s low cost and minimal, already-in-your-kitchen ingredients. Now the stuff has turned up in Arizona and New Mexico along with several recent incidents in Illinois. Just when you thought bath-salt zombies would be the last word in the whole zombie apocalypse scenario. Currently a spa in Indonesia is using many peoples’ nightmarish cuddle-buddy to relax them. “Relax” would be the wrong word to use in this case. The theory is that adrenaline, which is triggered by the fear of having a giant python crawling across your naked body, and the snake’s movement, are supposed to be good for your skin. Fearing for your life sounds exactly like the opposite of the whole idea behind visiting a spa. 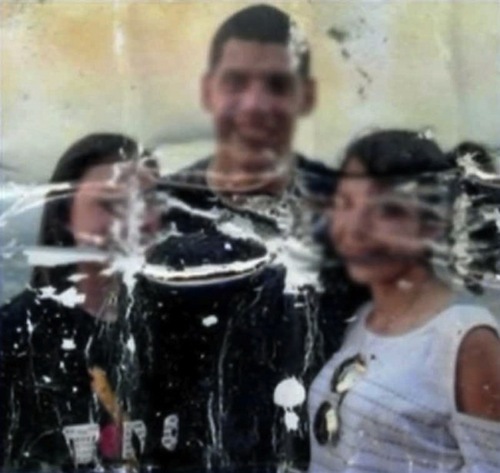 You are currently browsing the Weird Things blog archives for November, 2013.